ARE ANY OLD TESTAMENT PROPHECIES BEING FULFILLED TODAY? 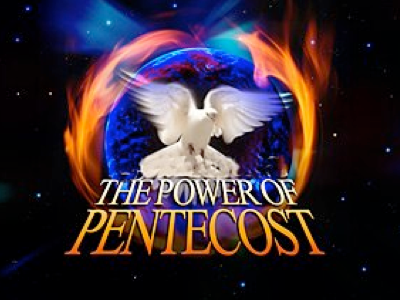 About 1983 years ago this month, 50 days after the RESURRECTION OF JESUS CHRIST, the second most important event in human history took place: PENTECOST! What actually occurred then, as recorded in Acts 2, was not fully understood for about 30+ years, when the apostle Paul laid it out in all its glory in his epistle to the Ephesians. How sad that only a small fraction of Christians since then have really understood its significance and magnitude. The Jewish holiday of Pentecost was a joyous time of giving thanks and presenting offerings for the “first fruits” of the summer wheat harvest in Israel. How appropriate that God chose that day to initiate “the Sacred Secret,” which Paul later revealed in Ephesians when he explained the Body of Christ, the first fruits of anyone who was guaranteed everlasting life. When he was on earth, Jesus could be at only one place at one time, but God’s secret plan was for him to diversify himself all over the world by means of a body of believers theretofore unheard of or imagined, each equipped to be like him and do the works he did. That is just what began on that particular Pentecost, but those early apostles who then “turned the world upside down” were still steeped in their Jewish mindset and traditions and had no idea of the most radical change ever in God’s administrations. Looking back in the light of the fullness of Scripture, we now know the HUGE difference that Pentecost made in regard to the gift of holy spirit. Instead of God’s holy spirit previously being (a) His choice who received it, (b) given only to some believers, (c) conditional based upon their obedience, and (d) temporary, the spirit Jesus first poured out on Pentecost and has since given to everyone who has made him Lord was (a) each person’s choice, (b) given to all who become Christians, (c) unconditional via seed, (d) permanent. Those truths alone are liberating. Understanding the uniqueness of the “administration of the [Sacred] secret” (Eph.3:9) is indispensable if we are to “rightly divide the Word of truth” and thus walk in the assurance of who we are in Christ. For example, knowing our God-given righteousness is the key to fearlessly facing the sin that dwells in us and conquering it for our own benefit and that of those in our lives. If knowing the truth makes us free, believing error has a detrimental affect on the quality of our lives and relationships. That is why we in TLTF are so emphatic about right doctrine, for without it, the corresponding right living is impossible. Misunderstanding what parts of the Bible are written to whom (Jews, Gentiles, Christians—past, present, future) is at the root of most of the doctrinal errors plaguing, and in large part, crippling the Church today. The vast majority of our dear brethren are trying to apply to themselves now too much of that which pertains to Israel (past or future), e.g., conditional salvation, water baptism, tithing, hierarchies, special titles, and, of course, hats. That is why we will elaborate upon the Administrations in Scripture (“Get a Chart, Get a Life”) in our forthcoming foundational class, why we plan to produce a seminar on the administrations as they pertain to end times events, and why we hope to put this truth in a book too. Rather than expound (as I did in last year’s FRUIT OF D’VINE) upon what the practical aspects of Pentecost mean to us in regard to the power we have to be and do like Jesus, let us examine some of contemporary Christianity’s doctrinal problems and how Scripture can help solve them for our brothers and sisters in Christ. Space allows us only to broach these subjects, and as you read, I hope you will be fascinated by the precision of the Word that God has magnified above His name (Ps. 138:2), and be motivated to further study. Consider the following logical progression: 1 Corinthians 2:8 tells us that had Satan known the Sacred Secret, he would not have crucified Jesus. Ephesians 3:9 says that Secret was “hidden in God.” The whole of Scripture tells us that Jesus Christ is the Son of God. If words have definitive meanings, we must conclude that Jesus did not know the Sacred Secret until some time after his resurrection when God first told him. Our next conclusion, therefore, must be that nothing Jesus said before his resurrection was specifically regarding the Christian Church or the Administration of the Sacred Secret. That is a shocker for most Christians, but unless we grasp to whom he was speaking, much of what Jesus said will remain a mystery. Prior to his resurrection, everything Jesus said was based upon the Old Testament, which he knew minutely. Yet, many things he taught are still applicable to us today in principle because they are not superseded by the revelation of the Church Epistles. The article I wrote last year, “What Did Jesus Know and When Did He Know It?” will help you understand that everything Jesus said prior to his resurrection pertained to Israel—past, present, future. For example, he could not have been talking to Nicodemus about being “born again” (John 3) as we Christians are. Our YouTube teaching, “The Only Irish Rabbi Jesus Ever Met,” explains this record. Rather, Jesus was talking about the Resurrection of the Just. Nor was he speaking in Matthew 24 about the gathering together (“Rapture”) of all Christians to meet him in the air. Rather, Jesus was talking about his second coming to the earth to Israel, which we now know will be seven years after the Rapture. That is why the “signs and seasons” preceding his coming regard his coming to the earth, not his coming in the air. Our “WWF” teaching titled “Heat, Heart, Hope” will help you understand this distinction. Please remember that from his flawless knowledge of the Old Testament, Jesus fully understood that he was the Messiah (Gen. 3:15), that he would be tortured and killed (Isa. 52/53), that God would raise him from the dead (Ps. 110:1ff) three days and three nights later (Jonah 1:17), that he would ascend to the right hand of God (Dan. 7:13 and 14) and seven years later (Dan. 9:24–27), after the Tribulation (Jer. 30:7), come back to earth to win the Battle of Armageddon (Zech. 14:1ff) and save Israel and then rule the world (Ps. 2) until he one day destroys Satan (Ezek. 28:18) and then creates a new heaven and a new earth (Ps. 102:25-27—cp. Heb. 1:10). What Jesus did not know was that God would insert a theretofore unknown “parenthesis” in human history, one that is currently almost 2000 years long. The Sacred Secret was so indescribably important that God did not tell His own Son until after Jesus had gone the distance for mankind and laid down his life. So what do we make of the great ado among Christians today about all the Old Testament prophecies they say are playing out before our eyes? Was the formation of “Israel” in 1948 a fulfillment of prophecy? Is the present-day nation of Israel the Israel of Bible prophecy? Has God made a “New Covenant” with the Church? Will the wealth of the world be transferred to Christians? If we allow the Word of God to speak, and delineate to whom it is speaking, the answer to all these questions is No. What the United Nations did in 1948 cannot qualify as a fulfillment of biblical prophecy because so many things God says will happen when HE brings Israel back to their land did not happen, and still have not. The biblical prophecies about God bringing true Israelites back to their land regard the beginning of the Millennial Kingdom when the Lord raises all Old Testament believers from the dead and settles them in the land promised to Abraham, Isaac, Jacob, and those believers who constitute true Israel. Ezekiel 36:24-30 and 37:1-14 are classic examples of that truth, and in 37:21-28, with “David” figuratively referring to Jesus, we see what will happen in Israel at that time. None of it is happening now. PLEASE take a few minutes and read Jeremiah 30 and 31:8ff. Note that in 31:31-34 the New Covenant will be with the same people group that the Old Covenant was with—Israel. Isaiah 59:20 and 21, Zechariah 14:1-11, and Malachi 3:1-4 are among other verses showing what will happen when the Lord comes gain to save Israel, and how their hearts will turn to him. That is not the case now. 27 Then you will know that I am in Israel, that I am the LORD your God, and that there is no other; never again will my people be shamed. 28 ‘And afterward, I will pour out my S[s]pirit on all people. Your sons and daughters will prophesy, your old men will dream dreams, your young men will see visions. 29 Even on my servants, both men and women, I will pour out my S[s]pirit in those days. 30 I will show wonders in the heavens and on the earth, blood and fire and billows of smoke. 31 The sun will be turned to darkness and the moon to blood before the coming of the great and dreadful day of the LORD. 32 And everyone who calls on the name of the LORD will be saved; for on Mount Zion and in Jerusalem there will be deliverance, as the LORD has said, among the survivors whom the LORD calls. It seems most Christians think that on the Day of Pentecost Peter referred to that prophecy of Joel’s as having been fulfilled, but that cannot be. First, there is no hint in the Old Testament of anything about the “administration of the [Sacred] secret.” Second, the events in those verses did not take place on Pentecost. Then why did Peter refer to Joel’s words? At that time, the first day of “Christianity,” Peter had no idea of what had actually taken place: that the Body of Christ had been born. As we look back, we know that Pentecost was not the fulfillment of Joel’s prophecy, but his words were indirectly applicable because part of the Sacred Secret is that a theretofore-unknown group of believers, neither Jews nor Gentiles, would from that day forward partake of the holy spirit aspect of the New Covenant. In other words, what all Old Testament believers will have after the Resurrection of the Just in their new bodies, we have NOW in “earthen vessels”—the “firstfruits of the spirit.” Is that cool, or what? By the way, our hope is also Jesus’ hope. Psalms 22:22 (quoted in Heb. 2:12), 25, 35:18, and 40:9 show that it is Jesus who will one day lead the praise and worship of God among the redeemed of the ages. Do you think he is looking forward to that with some degree of eagerness? How do you think he feels about raising the Apostle Paul from the dead and chatting with him again? The Man is psyched to finish the job God gave him! To maximize the limitless spiritual potential the Lord Jesus has deposited in us via holy spirit and be able to shine as lights in the darkness, we must realize that we are living between the Grave and the Glory, safely ensconced in the heart of God by His incorruptible seed. As is often said, “The goal of education is action.” The reason we want to identify, and immerse ourselves in, Truth written to Christians (primarily Romans through Thessalonians) is to do the works Jesus did and magnify him to a dying world. When he gathers us together and rewards us for our labor of love on his behalf, whatever it took for us to do that will be worth it.